Based on the findings in the report, it is no wonder that the RSC implored chemists to “identify windows of opportunity and ‘hooks’ to capture the public imagination” and “generate ideas to ‘inspire’ the public about chemistry”. The results of the RSC survey reflect the dreary look I often see on the faces of several of my chemistry students at the beginning of each semester. Because my teaching philosophy assumes that both quality and quantity of learning increases with interest in subject matter, I have spent years exploring ways to engage my students in chemistry (of course fire, explosions, and color changing reactions are certainly helpful). I have recently begun using an approach that I have found to be quite fruitful, albeit counterintuitive: I don’t try to get my students interested in chemistry. You read that right. I don’t try to interest my students in chemistry. Rather, I get to know the hobbies and interests of my students. Then I work to demonstrate how chemistry relates to those activities. Let me give an example of how this works. In my second semester general chemistry class, my students complete a small research project during three laboratory sessions. I meet with students individually to discuss project ideas. During this meeting I do not ask students what it is about chemistry that they find fascinating. Instead, I ask students to tell me about themselves. I ask questions such as: What do you like to do for fun? What do you want to do when you graduate from college? What movies do you like? What kinds of food and drink do you enjoy? What aspirations do you have? Once I get a feel for the kinds of things a student enjoys (and often after a quick online search for ideas on Google, the Journal of Chemical Education, or ChemEdX) I begin to learn how chemistry is related to – or can be used to investigate – one or more of their interests. Given the fundamental nature of chemistry, connecting chemical experimentation to a wide array of subjects usually isn’t too difficult. Next, the student and I discuss various ways chemistry is related to a chosen interest and how we might conduct experiments to learn more. For instance, during one meeting this past year I had a student remark that she loved drinking coffee. I had no idea about the chemistry of coffee, so quickly typed “chemistry of coffee” into the Google search bar. Andy Brunning’s infographic on “The Chemistry of Coffee”.2 immediately turned up. Reading through the graphic with the student, we learned that the content of chlorogenic acids in coffee beans drops as they are roasted. Thus, it seemed to me that the pH of coffee beans might increase as they are roasted. So I suggested the student try out a simple kinetic study: Buy some coffee beans, roast them for various periods of time, brew the resulting beans, and test the pH of the resulting brews. So that’s what she did. After roasting for various times, then grinding and brewing the beans, she found that the longer the beans were roasted, the lower the pH (Figure 1). This was exactly the opposite of what we expected! This led to further tests, experimentation, literature searching, on-line searching, and learning (the results of which, sadly, are beyond the scope of this article). 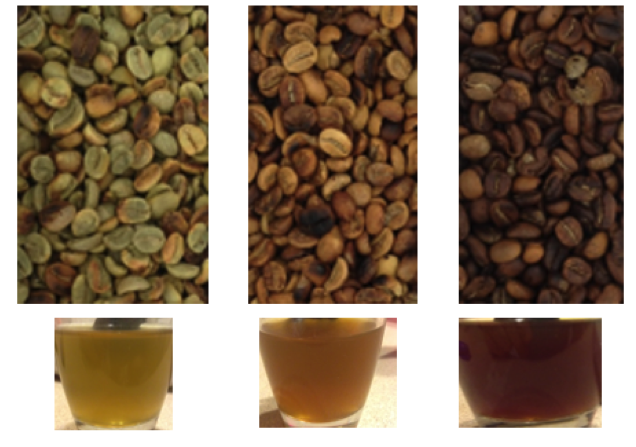 Figure 1 - Color of beans (top row) and brews (bottom row) of beans roasted for: (L to R) 6 minutes, 12 minutes, 25 minutes. Corresponding pH values: 6 minutes = pH 8, 12 minutes = pH 7, 25 minutes = pH 5. Experiment and photos by Bethany Balcer. While doing these projects, several students become “hooked” on the process of using chemistry to investigate phenomena. Students will often work more than double the required time on their projects. Occasionally, students will continue researching their project long after the completion of class. As a result of these investigations, my students and I have studied the chemistry of LEGO® bricks, shampoo, teeth, glow sticks, bananas, and contact explosives. We’ve looked at how the cloud forms when dry ice is placed in water, how stunt people safely light themselves on fire, why dead batteries bounce higher than fresh ones, the effect of snake venom on hemoglobin, and the effect of temperature on the bend of a pole vault pole. This method of attracting students to chemistry reverses the paradigm I have used for years. I used to spend a lot of time dreaming up stories, experiments, and explanations that involve chemistry to share with my students. I would investigate “real-life” topics, and then explain to my students how chemistry relates to whatever applications I chose to study. However, I am finding that showing how chemistry pertains to what my students are already interested in may be a more successful way to draw my students to appreciate chemistry. I have also noticed that sharing results of past student investigations during lectures not only piques my students’ interests, but also inspires my students to embark on chemical investigations of their own. Hearing stories of past students’ work empowers my current students to recognize that they, too, can use chemistry to investigate a topic of their own choosing. Finally, certain projects have taken on a life of their own, with multiple “generations” of students working on the some general project over the course of several years! To pull this off, I continually work to tune in to the interests of my students, and I routinely scour the literature to ascertain how chemistry relates to these topics. You might surmise that this requires substantial effort on my part, and you would be correct. But I’m okay with that. Doing so allows me to continually learn new and exciting things about chemistry and other areas of science, which I happen to thoroughly enjoy. I would argue that we chemistry teachers should constantly envision captivating and coherent ways to show how chemistry is relevant to activities that students find fascinating. We should continually be asking ourselves “where’s the chemistry in that?” For example, take the previously mentioned survey participant who stated that “the interesting things about science are things relating to physics and space exploration”. This individual is probably unaware that Venus has clouds comprised of sulfuric acid droplets,3 or that the mantles of Jupiter and Saturn contain liquid, metallic hydrogen and helium.4 He likely isn’t aware that lighter chemical elements are produced in the nuclear reactions within stars, and that heavier elements are formed during supernova explosions.5 Perhaps he has never observed one of the numerous explosive chemical processes that power spacecraft.6,7 He is unaware of the intimate ways that chemistry is embedded in space exploration. Krasnopolsky, V. A.; Parshev, V. A. Chemical composition of the atmosphere of Venus. >Nature 292, 610 – 613. Stevenson, D. J. Metallic helium in massive planets. Proc. Natl. Acad. Sci. U.S.A., 105, 11035-11036 and references therein. Norman, E. B. Stellar Alchemy: The Origin of the Chemical Elements J. Chem. Educ. 71, 813–820. Bowman, W. H.; Lawrence, R. H. Space Resource. Chemical Rocket Propellants. J. Chem. Educ. 48, 335–337. Eliason, R.; Lee, E. J.; Wakefield, D.; Bergren, A. Improvement of sugar-chlorate rocket demonstration. J. Chem. Educ. 77, 1581–1583. Kuntzleman, T. S. National Chemistry Week: A Platform for Scholarship. J. Chem. Educ. 92, 1588–1585. "Curriculum vs. Interest" or "Curriculum & Interest"? I totally agree with you too. One of the first assignments I give my chemistry students is to make a "Chemistry Of"poster about something they use, want or are interested in. I give them a few guidelines like size of title, summary and image of object, chemical formula and or reaction and bibliography. I point them towards a few good sources, give them the 11x18 paper and ask them to tell me their topics before they begin. We will soon have fun, eye-popping chemistry posters to hang inside and outside the classroom for back to school night and to talk about and enjoy all year. I'd like to see some examples! Wow, this is a great idea. And so simple, too! You should consider putting together some examples of your students' work to share with us at ChemEdX! Tom - Great idea. Check out or google "Genius Hour". Essentially, google let's their people spend one day a week working on something they are passionate about. They have to share it with others. Funny thing...it has helped them invent all kinds of cool stuff. Now people are trying to do the same in the classroom. Sounds like you are doing a version of it...way cool. I think my son did this! Thanks, Chad. When he was in 7th grade, one of my sons had a teacher who had students work on what was called a "20% Project" every Friday. Sounds like my kid was doing "Genius Hour" under a different name! My kid ended up writing code for a very simple video game that he created all by himself. My son tends to get bored in school, but he loved the 20% project. Do you do something like this in your classes?